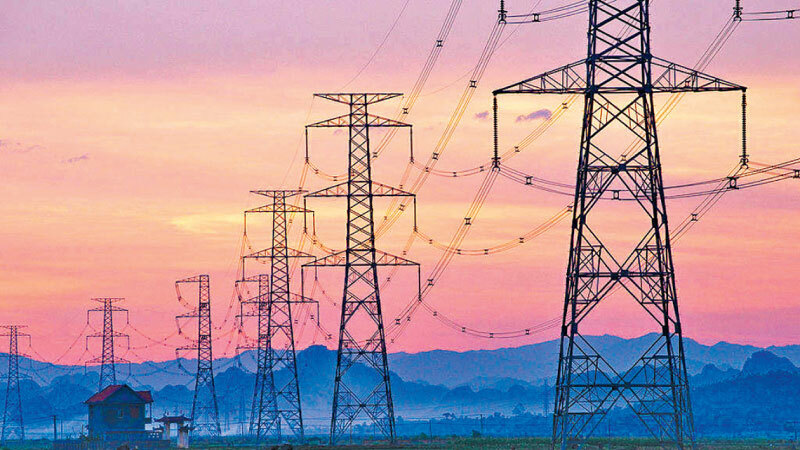 The main reason for the shortage of power that the whole island is facing today is the inability to implement the Long Term Power Generation Plan by the Ceylon Electricity Board (CEB), said Managing Director, RMA energy, DR Tilak Siyambalapitiya. This 20 year (2018 to 2037) plan presented according to the Electricity Act is approved once in two years. “Before we consider the 2018-2037 long term plan, we need to look at the 2013 long term plan,” Dr Siyambalapitiya said. As per the 2013 power generation plan, two coal power plants were to be operated by 2018 and 2019. Among them one power plant was planned as a joint venture between Sri Lanka and India and the other a joint venture between Sri Lanka and Japan. However both these projects had been cancelled in 2016 due to political influence. “The non-availability of these power plants would not have avoided today’s blackouts because the two power plant projects were already running behind schedule. However, they would have made the present blackouts short-lived,” he said. Thus it is crucial to construct power plants in order to match the arising demand. India for instance has built many power plants, and they are building more, even in the vicinity of Sri Lanka, majority being coal in order to cope up with the increasing demand. Furthermore proposals to establish a Liquid Natural Gas (LNG) power plant which is the next best energy source to coal had also been presented which has not been put into operation yet. Overuse of the hydro power plants and the well documented lower rainfall over February –April, makes the underlying power crisis more visible. “Hence due to the lack of power generation facilities within the country, it is the common man who is bound to suffer the most,” he added. The only short term solution to address this situation is acquiring more diesel generators for power generation. However this will affect the treasury because the cost of fuel is too high and ultimately it will be a burden on the general public. Renewable energy such as wind and solar could assist this crisis to some extent, but could not stand alone on its own for generating power to the whole island. Reconsidering the proposals to build the coal power plants in Trincomalee would be the project which would cost the least. This would take at least five years for completion. The LNG power plants are also the second-best option to support the power generation within the Island. This would take about three years to build. The issue related to Kerawalapitiya power plant needs to be resolved quickly. “Thus these could be taken as long term solutions to get rid of power failures,” Siyambalapitiya said. . “However, the motto should be, a long term solution first, then the solution to bridge the gap. The government appears to be on the short-term track only, which will bring misery to the people,” he added. Jayanat Herat, Director Cooperate Communications, PUCSL said that the CEB has not provided information with regard to the actual power shortfall due to lack of data. In a letter dated March 19 he said the commission requested the CEB to provide further information. Up to now the CEB has not responded. Due to the absence of information a case has been filed against the CEB, he said. Heart said last week the CEB made a request to purchase 100 MW for one year. He said considering the inconvenience faced they had approved it conditionally. “We have received over a 100 complaints. Complaints have been received that the power cuts are not in line with the information provided on the CEB website.” He said. Heart said the PUCSL as far back as September recommended connecting the generators owned by state institutions. Meanwhile the Free Trade Zone Manufactures Association (FTZMA) said they thank the government for not implementing the power cuts in the Free Trade Zones. Secretary, FTZMA Dhammika Fernando said that they salute the government for recognizing the importance of the free trade zones and the foreign companies that are involved in it by not implementing power cuts to the Free Trade zones. “This timely move ensures the smooth operation of our factories and also exports,” he said. The power crisis prevailing at present immensely affects the industrial sector of the county, Chairman, The Ceylon National Chamber of Industries (CNCI), Raja Hewabowala said. The power cuts made without any pre cautions mostly affects the industry. Thus the manufacturing processes within the industries face major problems and as a result the time is wasted. Being the festive seasons all the employees expect to gain the maximum benefits. Furthermore the industries also expect profits. “Thus both people and the industries suffer with this power cuts,” he said. Large scale industries could obtain power generated through generators, however small scale industries do not have the facilities to do so. “Hence, the government should compensate these small scale industries for these inconveniences,” he said. When inquired an industry source speculated that the actual power shortage is about 200-300 MW.